What Is the Difference Between Pure Land Sects & Other Buddhists? 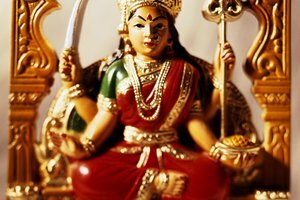 As a religion, Buddhism is neither monotheistic nor polytheistic. There is no personal god or monotheistic creator God in Buddhism, as there is in Christianity, Judaism or Islam. 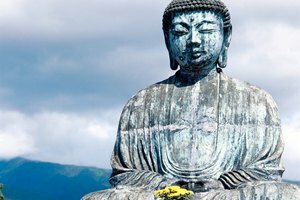 Buddhism is a spiritual path based on the teachings of the Buddha, an ordinary man who attained “nirvana,” enlightenment or awakening, around the sixth century B.C. In Buddhism, each individual is responsible for his or her own spiritual awakening, which is achieved through meditation, moral and ethical living, and attainment of wisdom. Buddhism is not based on, or concerned with the human-divine relationship, therefore it is misleading to call it atheistic, monotheistic or polytheistic . One of the core foundations of Buddhism is the realization that suffering is an essential part of life due to human craving and desires. Impermanence, moreover, is the nature of life itself, and because all things in existence are impermanent, human beings face suffering sooner or later in life. The Buddha taught that there is a way out of suffering and rebirth. These Buddhist teachings are known collectively as the Four Noble Truths. The Buddhist path toward awakening is summarized in the teachings of the Noble Eightfold Path. Because there is no ultimate deity or dependence on faith in anything unseen, Buddhism is considered by many to be more of a spiritual philosophy than a religion. Who are the Figures in Buddhist Art and Temples? While there are holy figures in the Buddhist pantheon -- common ones include Green Tara, White Tara, Kuan Yin, Manjushri, and Avalokitsvara depending on the specific country and school of Buddhism -- these are not deities, but actually different manifestations of the wisdom essence of highly awakened beings on the path, called bodhisattvas. Because Buddhism has been adapted to the needs of the common person in the different countries in which it flourishes, it has become a common practice of many practitioners to call upon these enlightened beings for protection or blessing. Many Buddhists bow to statues of the Buddha, but this is an act of gratitude and homage more than worship. 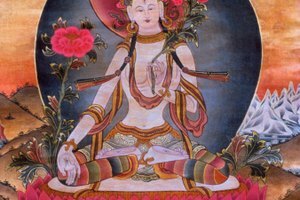 These idols and images are also used by more advanced meditation practitioners, particularly in Tibetan Buddhism, to aid in their meditation practices. The practice of prayer, or worship of deities or the Buddha himself, is not supported by the essential Buddhist religious texts or doctrines. The Buddha taught the importance of each person directly experiencing the value of his teachings. 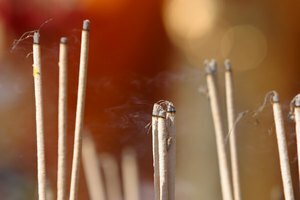 Faith or belief has little place in Buddhism. One must test all ideas and knowledge for oneself to know if it is true. 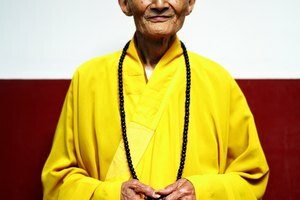 Each human being is born with potential “Buddha consciousness,” which can be used to become enlightened and to help end suffering for all beings. The core teachings of Buddhism are about developing compassion, loving-kindness, and liberation from states of consciousness that make human beings feel smaller and more limited than they really are. The only way to develop Buddha consciousness, which is true freedom, is through meditation and direct inquiry into the nature of consciousness itself. The two main sects of Buddhism are Theravada and Mahayana. 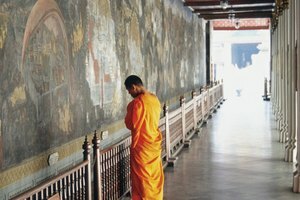 Theravada Buddhism is most common in Sri Lanka Cambodia, Thailand and Burma (Myanmar). Mahayana is most common in Tibet, China, Taiwan, Japan, and Korea. Genevieve Ferri is a writer and college instructor based in New Mexico. A seasoned traveler and explorer of world religions and sacred traditions, she has written several books and many articles exploring the intersection of culture, religion, spirituality and the arts. She has a Masters degree in English and a Master of Fine Arts degree in creative writing. Ferri, Genevieve. "Is Buddhism a Monotheistic or Polytheistic Religion?" 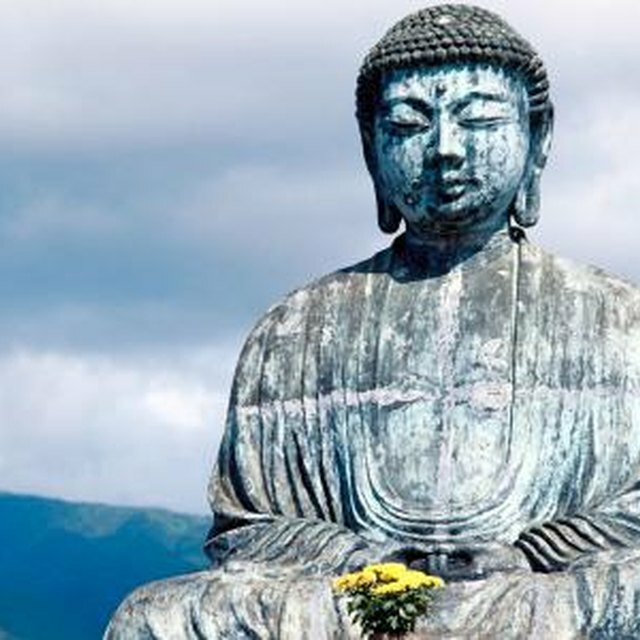 Synonym, https://classroom.synonym.com/is-buddhism-a-monotheistic-or-polytheistic-religion-12086918.html. 27 June 2018.